EXTRA LARGE Black Full Grain Leather Scraps and Trimmings: 5 lb of scrap include various finishes/prints in Jet Black cowhide. 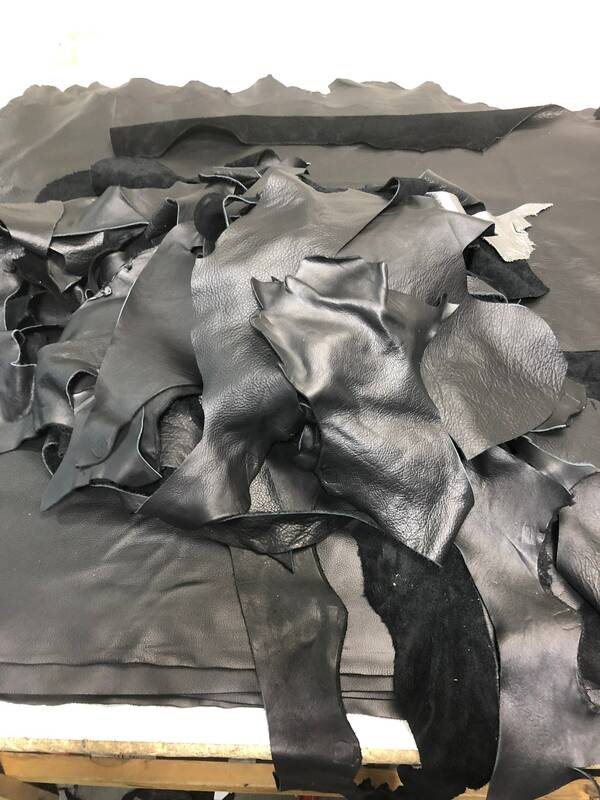 High quality leather scrap remaining from major production runs. These packs are offered exclusively in Black for customers in need of that. Our #ScrapPacks are our best seller, and we've had numerous requests for Black Packs! Pricing is for a Medium Flat Rate Box. We fill each pouch to CAPACITY. Our standard pouch are about 2 lbs of leather scrap in total. Most of the leathers we produce are soft in nature, meaning they weigh less. Therefore our 5 lbs not only has a nice variety in color - it is better value! Thousands of ideas using this. Just wish I was talented enough to make a cool item. Amazing! Beautiful quality product! Highly recommend! Quick shipping. Great value. Thank you. Awesome scraps, and arrived very quickly! Thank you! !